The USMNT rolls into Nashville following a 2-0 defeat at the hands of a full-strength Brazilian side last Friday night in New Jersey. The young guns continue to impress us, albeit while losing by a pair of goals from Bobby Firmino & Neymar. The Yanks certainly had their fair share of chances, and will feel unlucky to have not scored on a few occasions. In addition, a blatant dive lead to Brazil’s second goal which essentially killed the game. The Americans looked energetic and confident for large parts of the match and will look to carry that into Tuesday night’s party. Result aside, there were certainly a lot of positive performances from Friday night’s contest. Zack Steffen was a beast, Miazga and JAB both put in good shifts at the center of defense. Tyler Adams and Weston McKennie, flanked with Julian Green were all dangerous going forward. Dave Sarachan will feel somewhat vindicated for naming such a young team to face Brazil and will leave AO’s very optimistic going forward. Onto Tuesday, where our good friends Mexico await our arrival at Nissan Stadium. Make no mistake, this match always provides new meaning to the word ‘friendly’ and we will surely see some fireworks. The USMNT will have a chip on their shoulder having watched Mexico compete in last summer’s World Cup while we watched from home. Regardless, there will be no excuses or fear in the eyes of the yanks as they are out to prove a point. We will soon regain our title as the Kings of CONCACAF, and Mexico will once again enjoy being second fiddle in this region. So, another good test for the Americans heading into next summer’s Gold Cup, and eventually WCQ. 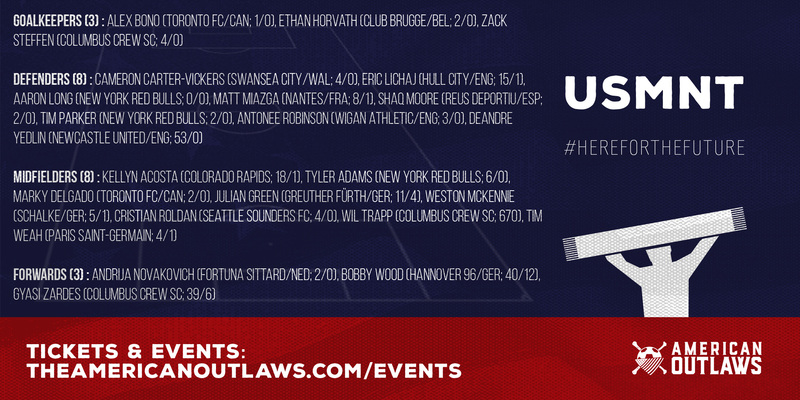 The USMNT will have a couple more friendlies against Colombia, Peru, England, and Italy later this year as well. There is plenty to look forward to for USMNT fans. But this one strikes a chord with each player to put on the jersey. Although the #DosACero tradition may be dead, the rivalry is still alive and well. Tuesday will begin the reassertion of dominance that has escaped us for the past year, and it starts by taking care of some unfinished business. We are #HereForTheFuture and here now.